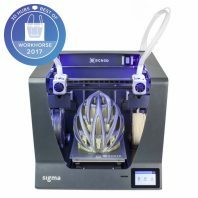 One of the myriad of different specifications that differentiate fused deposition modelling (FDM) 3D printer models is the number of extruders that they possess (see our guide on 3D printing basics for more information on the different types of 3D printing techniques). Basically this is the number of print heads. If you have a 3D printer with a single extruder then, unless you change the filament mid print, you are limited to producing objects that are made using a single material of a single colour. 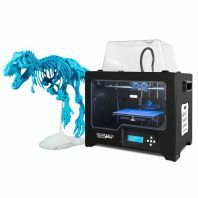 A dual extruder 3D printer, or indeed a multiple extruder 3D printer, allows you to print in more than one material and / or more than one colour during the printing of a single object. 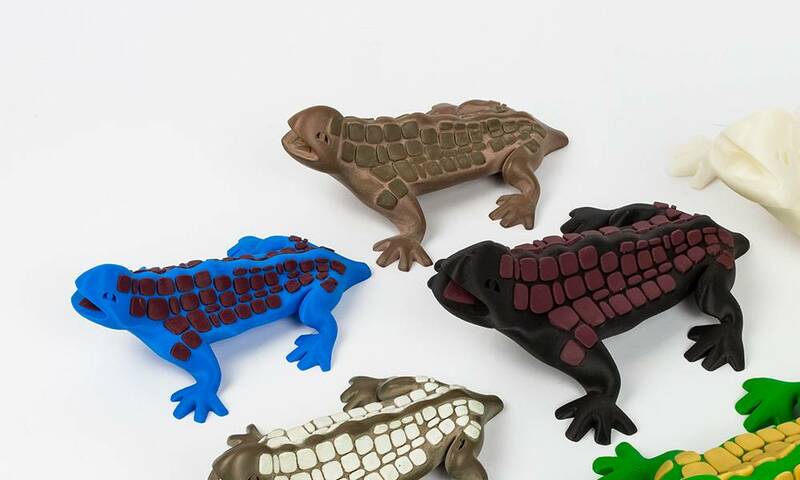 On face value multi-coloured objects sounds great, rather than a monotone block of plastic, but where dual extruders really come into their own is when you start to incorporate different materials into the same 3d print. 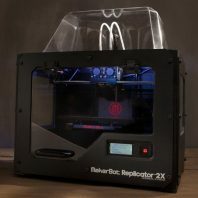 Take a look at the dual extruder 3d printers we sell. 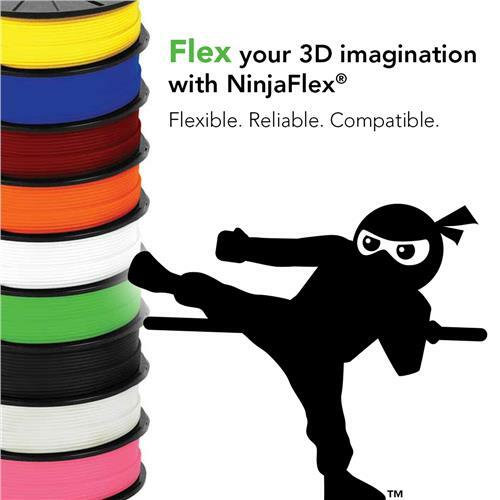 The advantages of a Dual Extruder 3D printer? To understand the advantages of solid infill one must understand that with a single extruder model and supports are printed using the same material. This means, in the first instance, that the support material will adhere / fuse very well with the main structure which can make them hard to remove. Also the types of support that are available, a kind of open infill or support columns, limits the types of shape that can be printed successfully and the quality of the finish you will get once the support structures are removed. For instance, in the figure above you can see a before and after shot of objects printed on a BCN3D sigma dual extruder printer using a solid support infill for one of the extruders. We have another example of the Dual material Robox 3d printer with Polymaker polysupport as a solid infill support material. 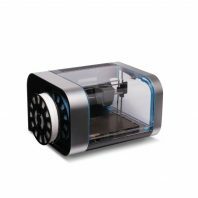 So additionally, as well as opening up the complexity of shapes that you can print you can also use dual extruder 3d printers to build objects that make use of the functional properties of 2 materials. Here is a good example from Adafruit of a glove printed with Ninjaflex and conductive pla to 3d print a wearable LED glove. Printing with a dual extruder 3D printer is a little more complex that printing with one extruder. In order for the printer to know which each extruder should be printing you will need to split your model file into two separate parts, one for each extruder. In order to specify which extruder prints which file you will need to follow the instructions for the software that is used for the particular model of dual extruder printer. Generally though this is straight forward, usually a matter of a drop down selection box. 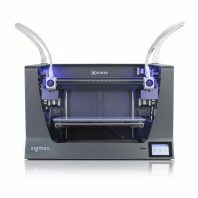 So how do you get files for dual extruder 3d printers? Well some models are already going to be available for example this list of dual extrusion models on Thingiverse. However, you will most likely want to create your own. The simplest way to do this, generally, is to create you model. The create a large simple solid, that will be used to create your support model, that encompasses your model and then to make a cut or intersection of your object from the support object. What you will be left with is a solid that fills the empty spaces of your main model. You main need to clean the support model up as some of it you will not need, i.e. you don’t need support material where it is not supporting anything like on top of the main model. Once you have these two collections of solids export each collection separately as a .STL file for use with your dual extrusion 3D printer. For multicolour models or for composite material models you as part f your design process you will have created separate components that you would like printed in a different colour or material, simply lump the parts of your model that you would like printed in one colour or material together and export as an .STL file.